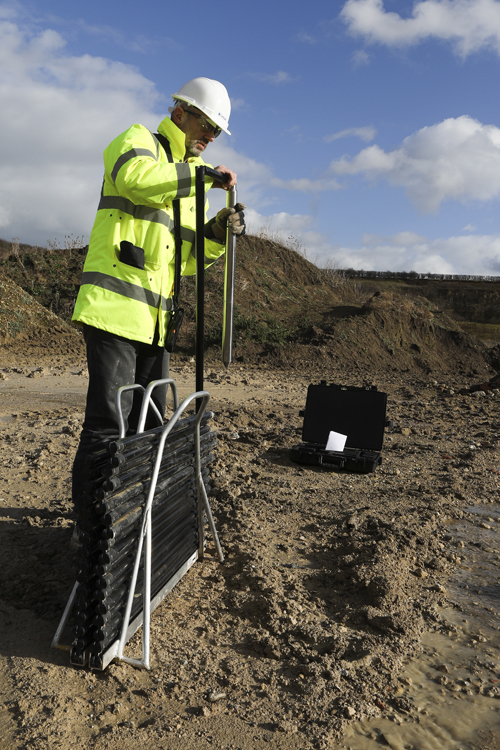 Boretrak is our cost-e ffective, rugged borehole-deviation surveying system that’s compact, lightweight and portable. 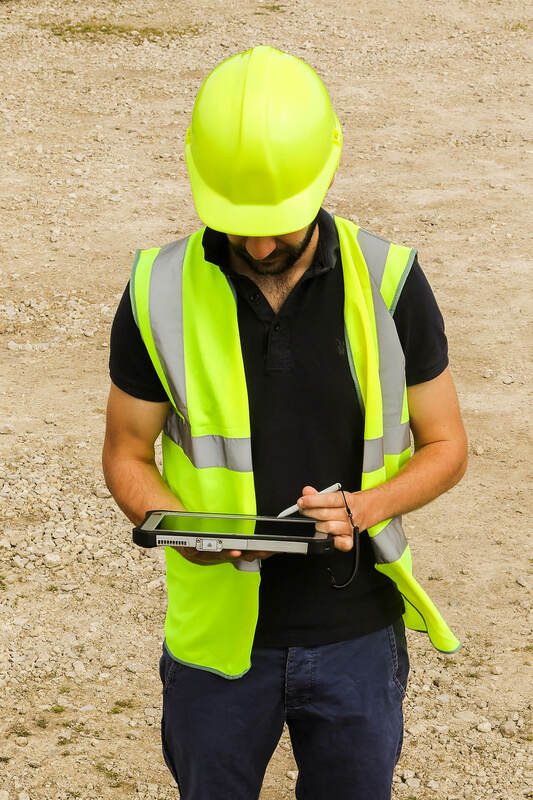 Boretrak provides an easy way to audit drilling activity accurately and in a wide range of applications, including quarry and cast blasting, exploration and foundation drilling, dam pinning, construction, piling and engineering works. 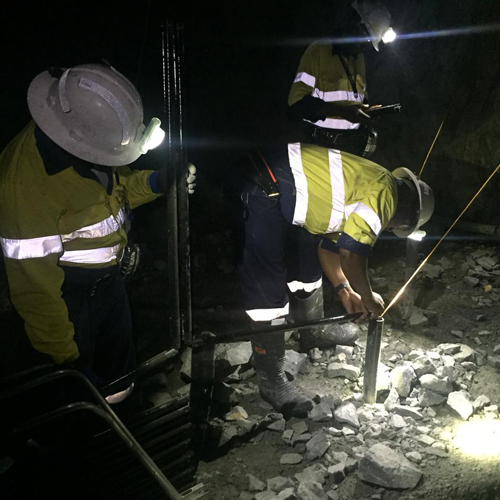 Borehole deviation happens, but without a reliable way of measuring it and taking the actual results of drilling activity into account, mine and quarry owners can spend more than they need to on breakage, transport, explosives and fuel costs. They also risk worker safety and that of others working or living near blast sites. Those responsible for engineering or geotechnical projects can encounter costly delays if holes are not drilled to plan. Cabled Boretrak is designed to let you work quickly, and move across large sites without the need to transport bulky surveying equipment. It is compact, lightweight, rugged and highly portable. 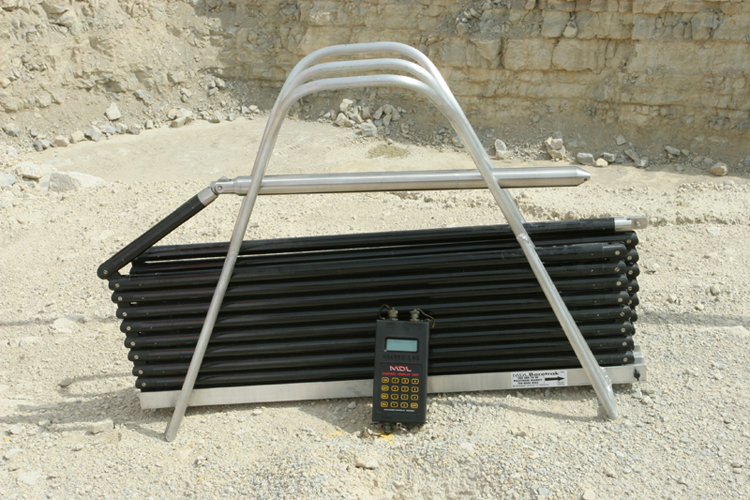 Rodded Boretrak gives unique capabilities to measure borehole deviation uphole and downhole in situations where other systems won’t work, including underground mines and areas of ferrous materials. Borehole deviation isn’t a rare occurrence. Whether it’s the experience of the driller, the quality of the equipment, the angle drilled or the local geology, boreholes frequently deviate from their intended path. In the past, there was no easy way to measure deviation. Mechanical methods lacked accuracy, and produced too little data to be mapped against the drilling plan to enable a comparison. As a result, even today some mine and quarry managers will proceed to blast on the basis of the drilling plan, rather than the drilling results. And those responsible for engineering and geotechnical works will proceed on the assumption that holes are straight, encountering costly delays later in the project. 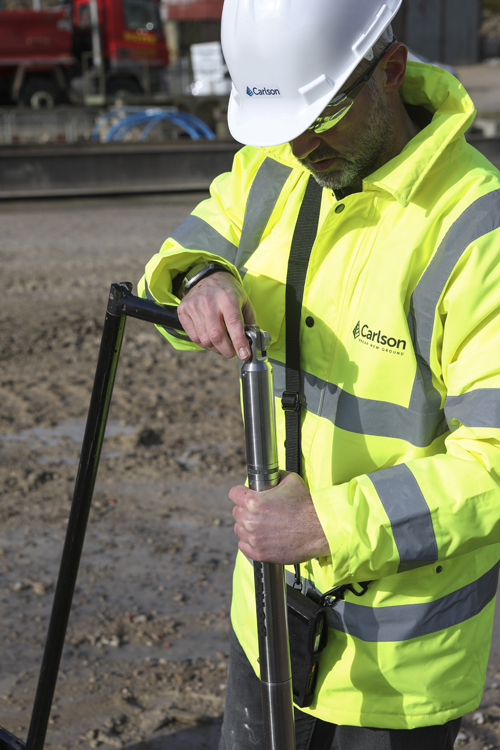 Carlson’s Boretrak is designed to help you complete a range of drilling-related projects more quickly and efficiently, by giving you the data you need to make on-site decisions quickly and without the need to employ surveyors or other costly personnel. You can read more about the specific benefits of using Boretrak in underground mining, engineering and geotechnical works and quarry drilling and blasting on our applications page. Quarry operations can be made more efficient by using data from portable and robust laser scanning systems. Deployed from ground level (or from underground sites), Boretrak keeps workers safe while giving you 3D data on drilling activity. Boretrak works with Quarryman to help ensure compliance with quarrying legislation, protecting local residents, employees and property. 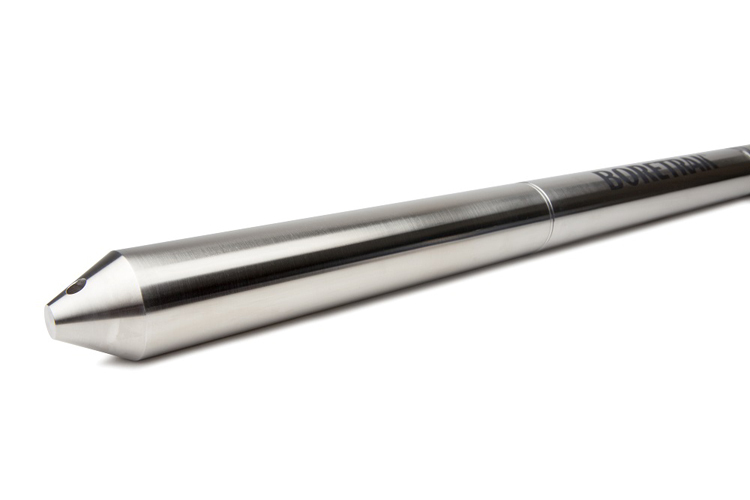 Measuring borehole deviation avoids the risks associated with incorrect borehole data: fly-rock caused by poorly designed blasts, or intersection with underground utilities in engineering works. There is no need for an expert surveyor to be on site, because the system is simple to use, with very little training needed. Boretrak frees up personnel. A 20 m hole can be surveyed in a matter of minutes, and entire drilling sites can be measured and modelled in hours. 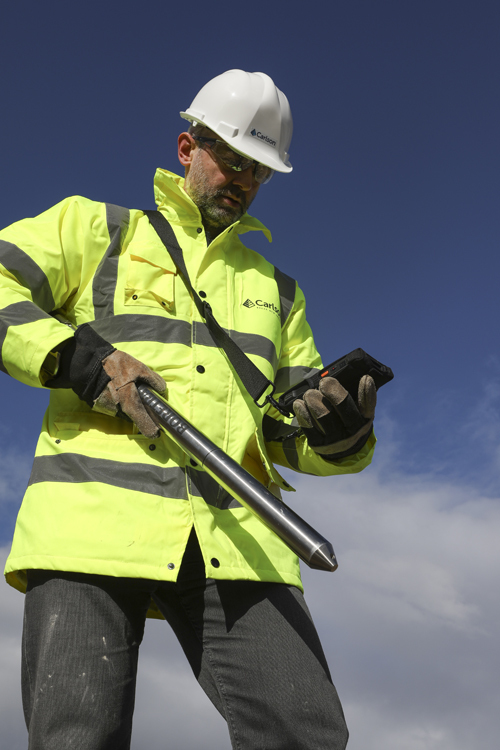 A handheld CDU interfaces with dedicated PC software so you can audit drilled holes and produce reports in minutes. Results can the be issued to drillers on site if needed. 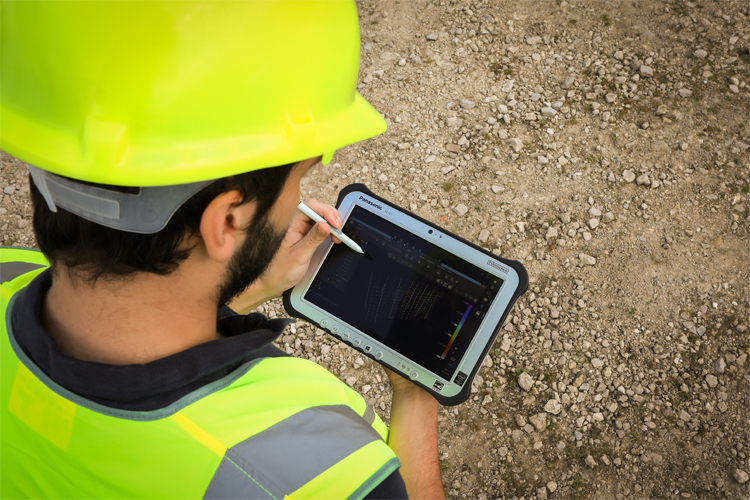 Your on-site drilling operation becomes data led, responsive and better integrated. Map entire sites. 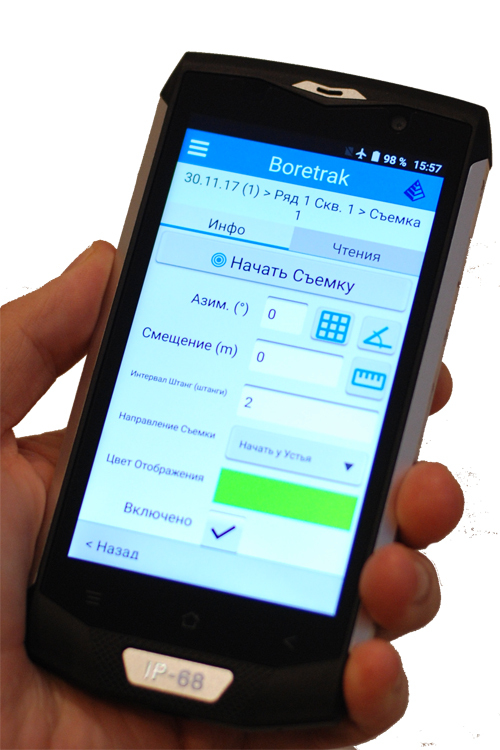 Boretrak data can easily be georeferenced and related to your local co-ordinate system. This means you can compare today’s results with historical data and view data from a range of systems – notably Carlson’s Quarryman Pro- in one place. There’s no guesswork and no data gaps. A high degree of dust- and water-proofing is engineered into both the Rodded and Cabled Boretrak variants. Resistance to wet weather, water-logged ground, submersion, temperature extremes, sand and dust mean that Boretrak performs reliably and accurately in tough conditions. 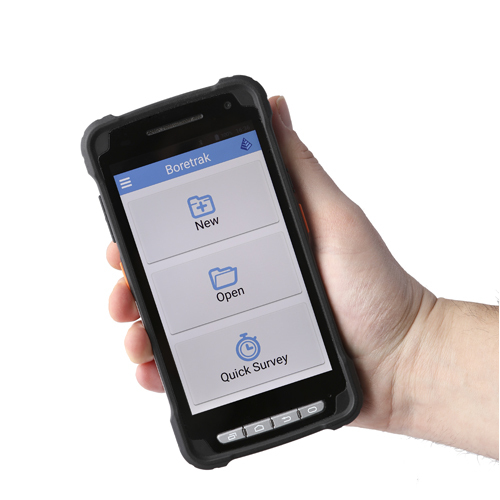 Portable, lightweight, and easy to transport across sites and between locations, the easy-to-deploy Boretrak is designe to be used by a single operator. Cabled Boretrak comes in a single ‘Peli’ case, with a total weight of less than 5 kg. 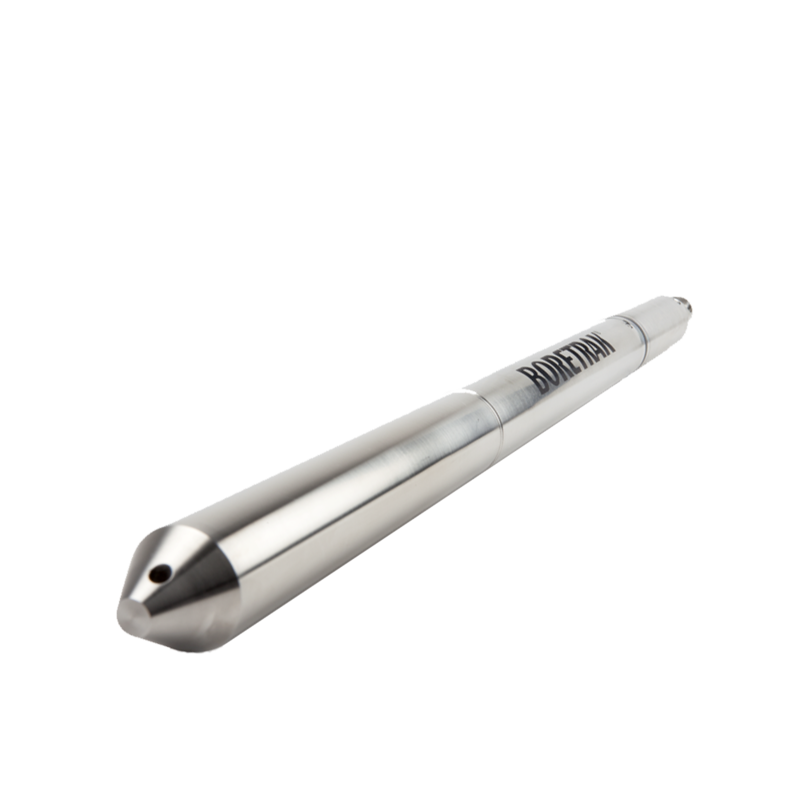 The Rodded Boretrak probe and rods can also be hand carried by a single operator.